Home > Journey into Health: But What *Can* I Eat? 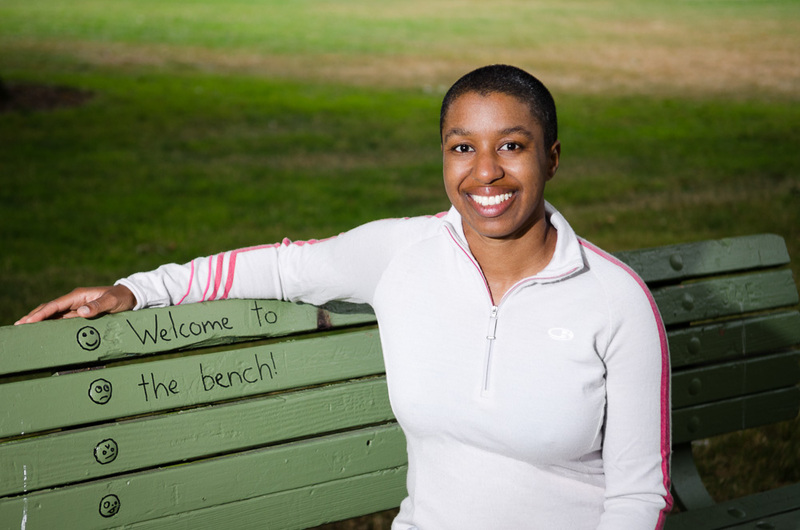 Journey into Health: But What *Can* I Eat? This post is part of a series about my recent adoption of an anti-inflammatory diet as part of a strategy to control allergies and food sensitivities. Part one is here. Naturally the moment I was put on a restrictive diet, I began a running list in my head of all the yummy things I was about to be denied. Not a great recipe for success. I did however, have a few things going for me over your average McDonalds-eating American. First, my wife Jess, who is also a nurse, has spent the last six years beating most of the really awful foods out of my diet. We already eat fairly well though we do love our desserts. Healthy, vegetarian recipes made from natural foods and seasonal produce. It would not be an exaggeration to say that 90% of our meals made at home came from Heidi’s site for 3-4 months. There wasn’t one thing we made that wasn’t at worst, delicious and at best, AMAZING. In fact, if you haven’t eaten recently, don’t even click that link or you may have to stop what you’re doing and head to the nearest farmer’s market. I also snapped up Heidi’s book Super Natural Every Day as soon as it came out and had a chance to meet her when she hosted a Portland signing and bring her a cookie. The pimps at New Seasons are also a great source inspiration. I am what I like to call a ‘sample sucker’ Many a time I have tried the offerings and come out of there with a whole slew of ingredients I had not planned on. 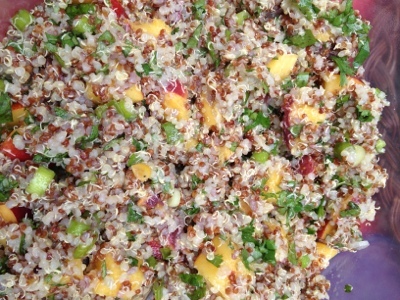 Such was the case with one our summer favorites, quinoa peach salad. I've been waiting for winter to be over so I could make this quinoa peach salad. And it's totally diet-legal! Finally, gluten is one of the hardest for me to give up, but we have lots of friends who eat gluten free out of necessity, and are happy to share their tips and resources. Between all these things, we had a pretty good jumping off point to begin. I’ll be posting my favorite recipes here for you to enjoy. Starting with the salad above. Combine quinoa and 2 cups water and a pinch of salt in a saucepan over medium heat. Bring to a boil, turn down heat, cover and simmer until all water is evaporated. Let cool completely. Stir in all ingredients except nuts. Toss well. Sprinkle with nuts and serve.